There is a good rule that you should always be careful when extrapolating your data, especially over the long term. And there is an even better rule saying that you should never, never extrapolate an exponential growth. The uncertainty in the data of an exponentially growing curve increases exponentially, too, and that makes your extrapolation meaningless very soon. 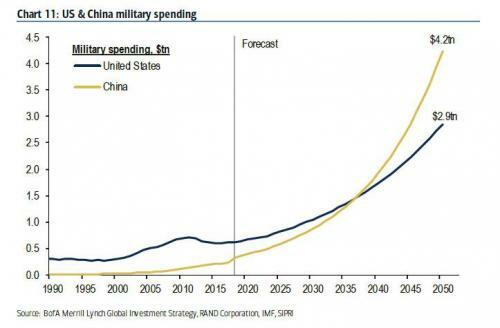 But, in the figure above, they extrapolated an exponentially growing curve for the military expenses of the US and China over more than 30 years! The origin of that curve above seems to be the RAND Corporation. I couldn't find the original source, but it has been reproduced in the blog of the Wall Street Journal and on Zero Hedge. It looks like someone seriously proposed this extrapolation. But consider a few numbers: according to the chart, by 2050 the US would spend more than 20% of its present GdP for the military! (it is now about 3%). It might be possible if the US GdP were to increase in proportion. But, from the graph, they assume a growth of nearly a factor of 5 (from ca. 600 billion dollars, today, to 2.9 trillion in little more than 30 years. It means that the GdP should double at least twice in 30 years, that is, the US economy should grow at the rate of 6% (twice the current rate!) every year for the next 30 years. Otherwise, the US government would bankrupt itself even faster than it is doing now. Now, you might want to dismiss this graph as one of the many silly forecasts that are part of the everyday chat on how this or that sector of the economy is going to grow -- and therefore everyone should invest on it. But, there is something in this idea that military expenses are going to rise in the future. It has to do with a typical enhancing feedback effect. One side raises its military expenses and causes the other side to do the same. And that's the feedback that creates a ladder on which both contenders climb without knowing how to step down. Another parallel effect is the financial mechanism. Large investments in military expenses create a powerful lobby representing the military-industrial complex. A powerful lobby successfully pushes for higher investments and that, in turn, creates an even more powerful lobby. It is all part of what we call "arms race." The impression is that, by 1913, nobody knew how to stop the race and that the only "solution" that could be found to block the ever-increasing costs was to start a war -- which they did. The similarity of the current situation with that of the years leading to WWI has been noted more than once. 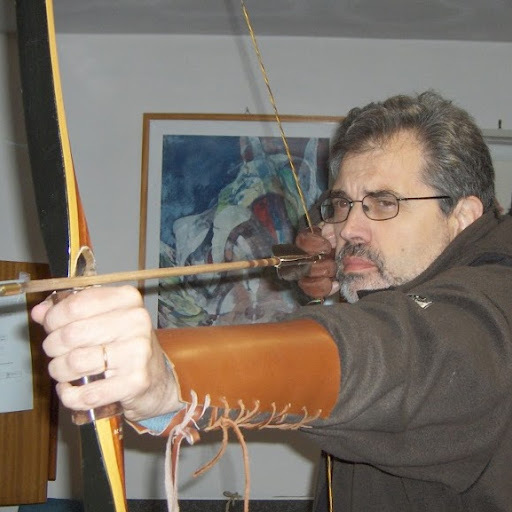 So, are we going to see a new world war in the near future? We cannot say: history doesn't really repeat itself, although it does rhyme. It might not be necessary to start a new world war to stop the exponential growth of military expenses, but the data are not encouraging. A new war could really be near. 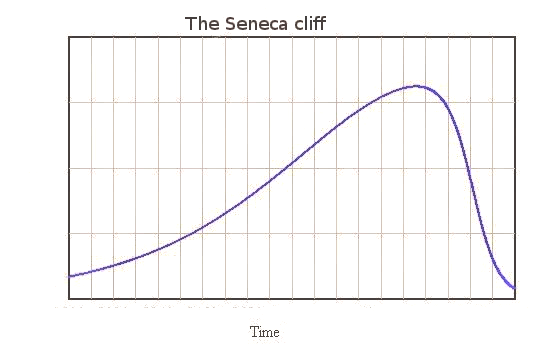 And, a nuclear war could generate a Seneca Collapse so drastic and disastrous that it could really be the "war ending all wars" -- as WWI should have been -- at least those not fought with clubs and stone axes only. Nice post, well I don't have much to comment, I think you are right. At least one regional war in Mediterranean area is getting closer: I suppose it will detonate somewhere from 2030s until 2050s. The bad news: there's no time for fixing the reasons of war in Mediterranean area before 2050s. The good news: there's still time for fixing the reasons of war in Asia before 2050s. Survey now with 525 total respondents. 121(23%) of respondents from Cassandra's Legacy. 74% of respondents with a Bachelor's (Baccalaureate)Degree or higher. Photovoltaics rank highest as the Renewable Energy form we should most focus on. Energy & Technology overview article comes out Sunday on the Doomstead Diner. Survey still OPEN. Get your opinions in and be counted! While it may be true that war as a recurring phenomena through history cannot be pinned down to any monocausal theory that would allow a straightforward response - nevertheless any particular war, and any specific situation involving a danger of war, can perhaps be analysed as a unique situation - including if there are features that rhyme with the past. So what is the current situation specifically? On the other hand....and we should surely always seek to find other ways of seeing things and other processes - on the other hand the economic difficulties and the depletion of strategic resources is undermining the ability to continue an arms race in ways that we cannot, as yet, fully foresee. You write, Ugo, about prior to WW1 - but the age of coal was still reaching its peak in Britain and there were plenty of energy resources to fuel industrialisation in other countries. The age of oil had barely begun. Indeed the war saw the transition from coal powered warships to oil powered ones.